The Zeitgeist Movement and it’s associated Venus Project are gaining in popularity. This is of concern. Let’s explore why their “Resource Based Economy” won’t work to bring about their desired changes. 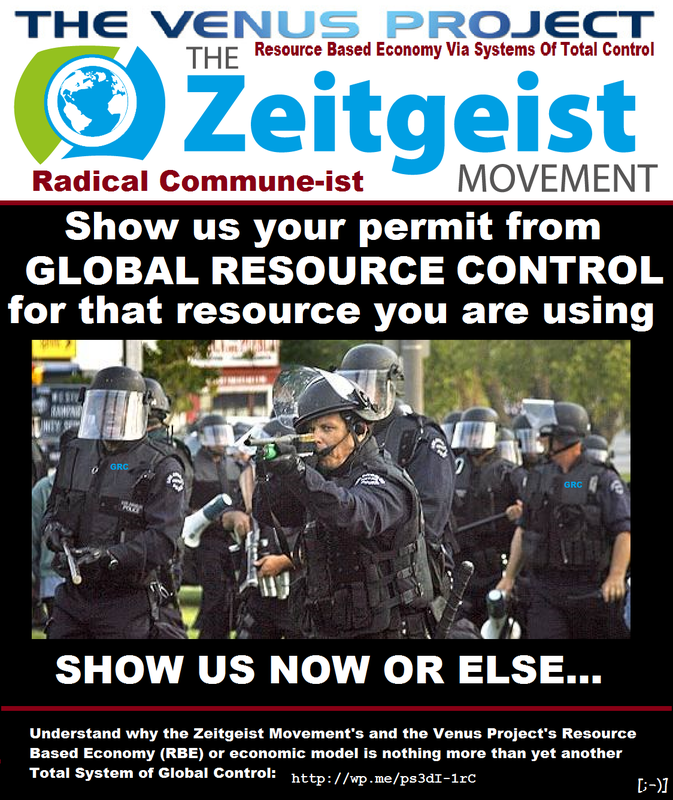 Those that wish to impose The Zeitgeist Movement’s and The Venus Project’s “Resource Based Economy” (RBE), or “Resourced Based Economic Model” (RBEM), communicate that in order to implement the RBE they need to control all the resources on the planet, this requires a “Global Resource Control” (GRC). In order to accomplish this they need to “capture (in the true sense of the word and in all ways you can imagine) all the resources on the planet (their dear leader Jacque Fresco says this) and control the allocation (again the dear leaders Jacque Fresco and Peter Joseph say this, listen to them carefully) of those resources. It is important to understand the bad ideas floating about out there. 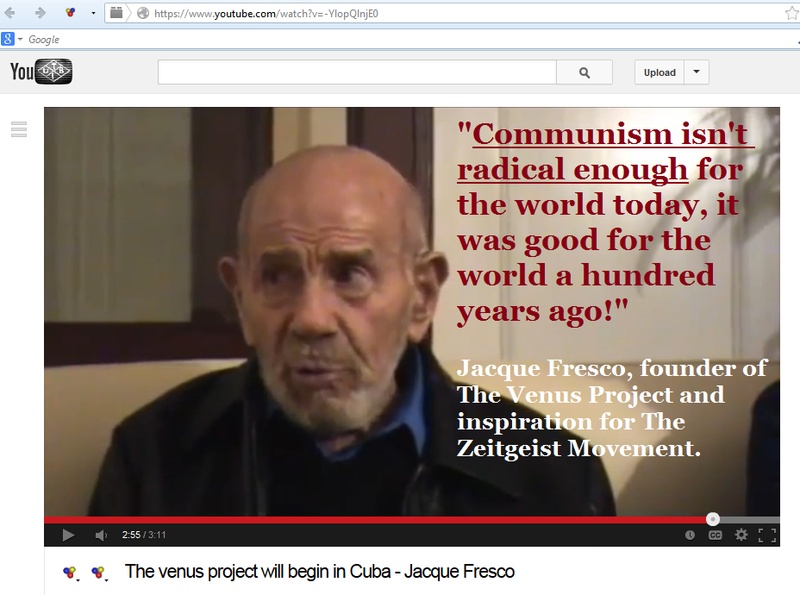 After interacting online with a number of “followers” of The Zeitgeist Movement and the Venus Project they insisted that I “do more research” so I did; I watched more videos, searched using the google machine, and interacted with more Zeitgeistians; I found their glorious leader, Jacque Fresco, worshiping communism in a video of his in Cuba. I’ve asked a number of prominent Zeitgeistians about it and they had absolutely nothing to say. I’ve tossed this article and information graphic memes together to let people know that the founder of these groups believes communism was good and not radical enough.